As experts in collaboration, CISDR’s site coordinators bring community resources into schools to work with at-risk children in a coordinated, caring and cost-effective way. 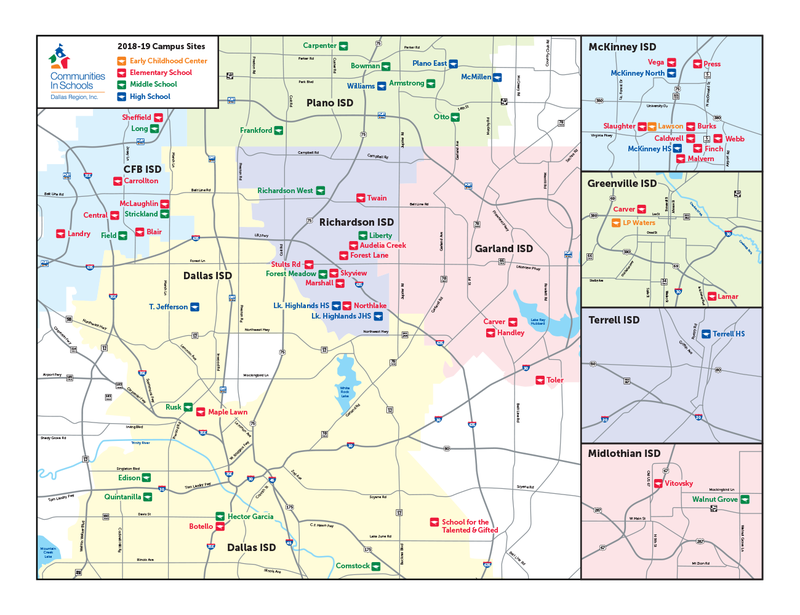 Currently, CISDR operates in 58 schools in nine school districts in Dallas, Collin, Ellis, Kaufman and Hunt counties. To learn more about how Communities In Schools of the Dallas Region can partner with your school, please email us at ConnectCIS@cisdallas.org.